This is a typical example of a word that can have different meanings given its context. 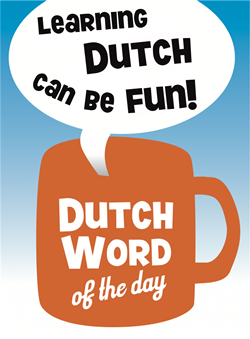 The Dutch language has many of these so called homonyms. – "De trein zal om 4 uur aankomen." – "Te veel aankomen is slecht voor je gezondheid." I’m Dutch myself and did like to start saying by what a nice site and purpose! Learning foreigners Dutch. The most common use of this word is when someone tries to gain weight. Most of the dutch words have multiple meanings 🙂 funny language we have. suggestion : when listing words by alphabet, would’nt it be a good idea to color visited links differently ? so we see at first sight which word it’s been read before. Hi, that’s a good suggestion, I will see what I can do! Bedankt!